Begins with a consultation to see if Clear + Brilliant is right for you. 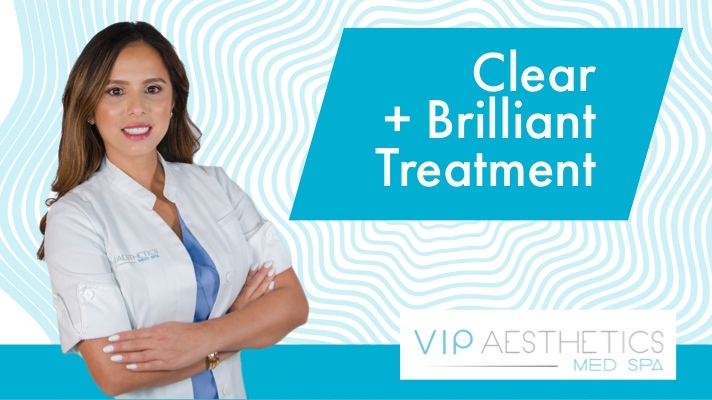 Is delivered by our licensed skin care professionals, who will gently guide the Clear + Brilliant hand piece across the target area and actively treat your skin for approximately 15-20 minutes. Utilizes the patented Intelligent Optical Tracking™ System to ensure a uniform application to all treated areas.